Aly and Justin are the best friends of some friends of mine, and I'm so glad our paths crossed! 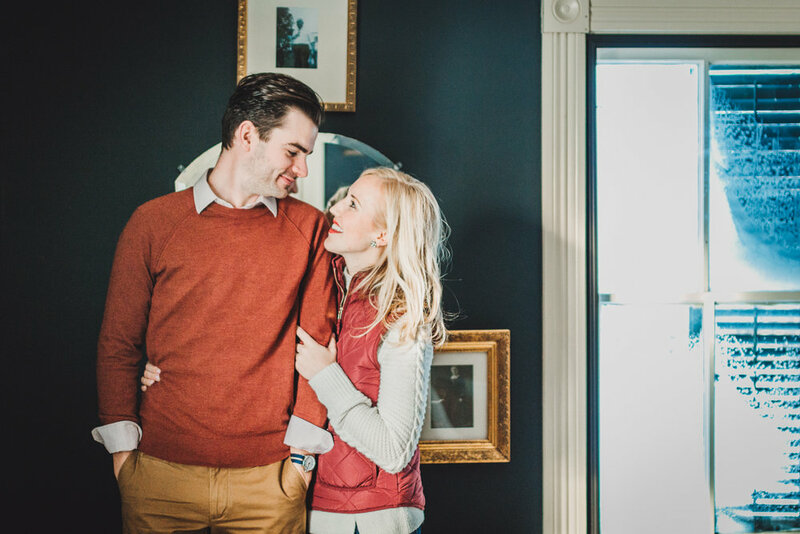 These two are incredible people, so sweet, and are getting married THIS WEEKEND at Legacy Hill Farm. 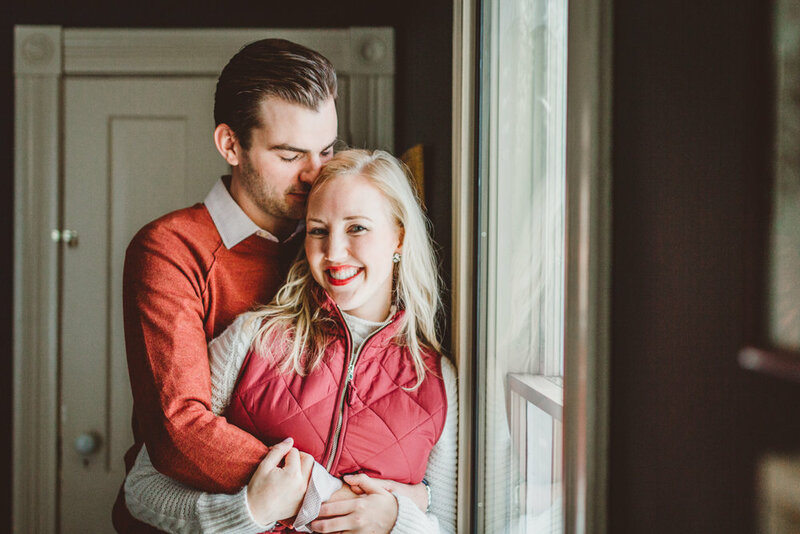 Last winter, we met at my favorite coffee shop for their engagement session while they were in Minnesota for the holidays. Little did these sunny Californians know it would be 13 degrees below zero that day! They were game for a winter session, as they are both originally from Minnesota — they just had to pick up some new winter gear and were ready to go. Besides, fending off the brutal cold for their engagement session will be a story they'll always remember! 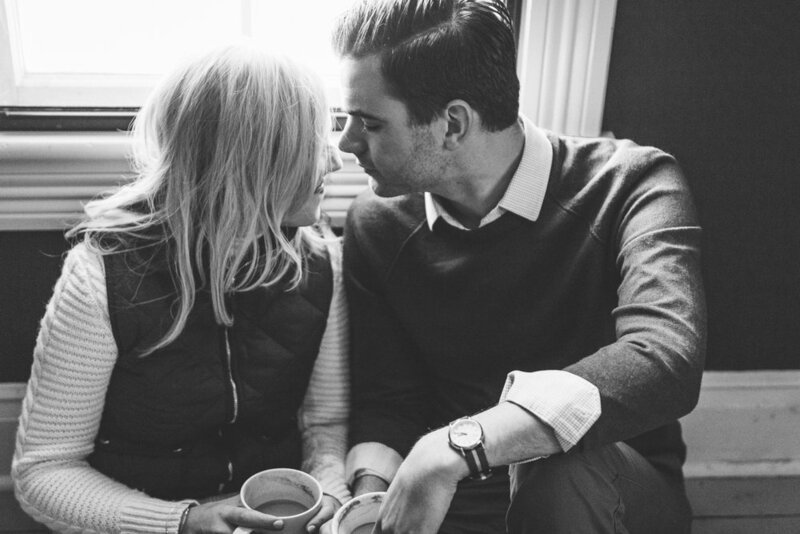 I just loved spending the afternoon with Aly & Justin and watching them love on each other and sip coffee and laugh. Their wedding day is going to be stunning and full of light and laughter, and I am so pumped!